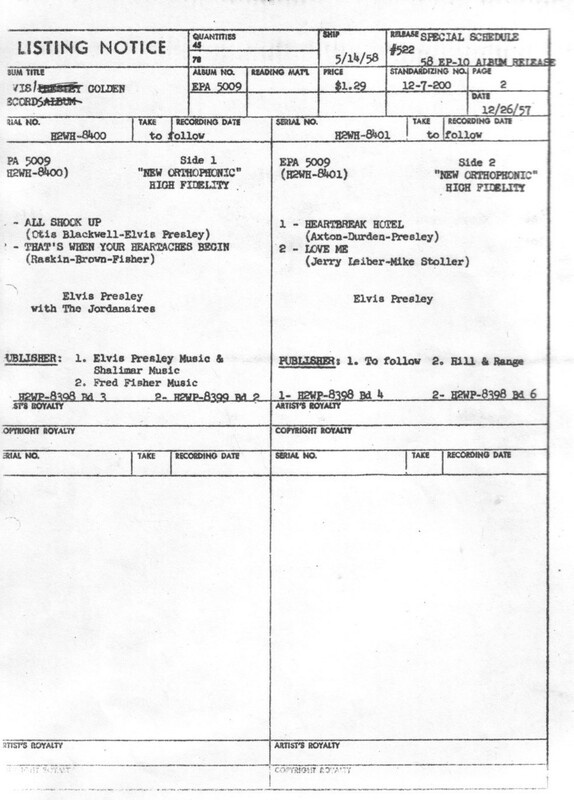 Brief History : This was one of 3 "Elvis' Golden Records" extended plays due for release but were pulled just before for one reason or another. They were to be issued on the "Gold Standard Series" label. No known record , cover , or cover art is known to exist.